Travel Health Group offers a full range of products and services to allow you to travel with less risk. Since the epidemiologic and sanitary conditions in foreign countries are constantly changing, we always provide the latest health recommendations based on the traveller’s particular situation. 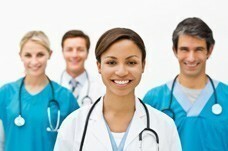 One-stop destination for advice, vaccination, medication prescriptions by the physician, travel products, etc. Most of our locations in large medical centres, offering a vast selection of services, e.g. on-site pharmacy, emergency service, etc.